Right before the opening of the 2018 Taipei International Book Exhibition on February 6, a new book entitled The Contemporary: A Poetry Anthology in Commemoration of Liu Xiaobo is publicly released in both Hong Kong and Taiwan by Waves Culture Media, an independent press in Hong Kong. The anthology has been triggered by an incident occurring in the summer of 2017 when Langzi (Wu Mingliang), a Guangzhou poet and member of ICPC, was arrested for his participation in an effort to comply a collection of poems to commemorate Liu Xiaobo, capturing the international attention to the human rights infringement in China. On June 26, 2017, news came that Liu Xiaobo, the 2010 Nobel Peace Prize laureate and former president of ICPC who had been detained for nearly nine years, was found in a critical condition for his late stage of liver cancer and was placed on medical parole in a hospital in Shenyang, China. The news extremely shocked the Chinese literature and poetry circles. A large number of poets, writers and public intellectuals wrote poems in the modern new poetic genres regarding what happened to Liu Xiaobo and his fate. Furthermore, writers and poets as well as the civil society were seized with astonishment at the incidents to follow after Liu Xiaobo was “deceased” and “sea buried” in less than twenty days. Heart-pounding poems in memory of Liu Xiaobo and mourning poems on July 13th, the night of Liu Xiaobo’s death, broke out like a tsunami to circulate wide and far on the internet, WeChat Friend Groups, WeChat Public Accounts and other internet spaces. Whereas many works were either deleted or blocked by the Chinese cyber censorship inside China shortly afterwards, the corresponding writing momentum was generated in Taiwan, Hong Kong, Macao, USA and Canada as well as Britain, France, Germany, Australia and other areas. 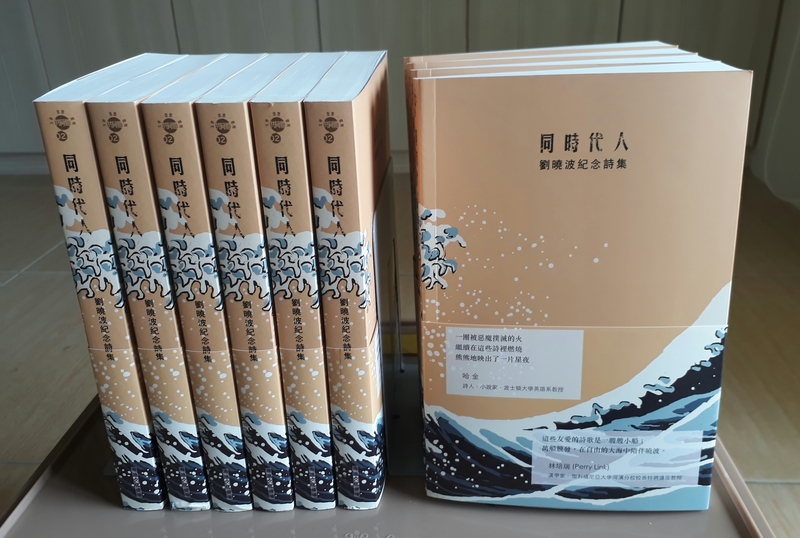 This Commemoration Poetry Anthology demonstrates a grand landscape of a literary action in the spirit of free writing, which is extremely unusual in the history of the contemporary literature as well as the history of civil movement both in China and abroad. Poet Meng Lang, the Editor-in-Chief for the compilation of the Anthology, is one of the founders of Independent Chinese Pen Center. Almost 200 authors were included in its selection, among whom 20 are ICPC members. 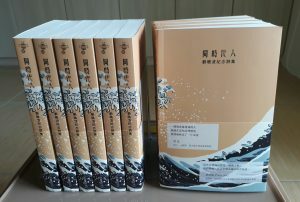 The 424-paged anthology is a book of selection bearing sufficient weight to face the reality and the history, and stands out, more significantly, as a literary tribute to Liu Xiaobo contributed by the poets and writers representing the Chinese-speaking world, including both the senior and new ICPC members. This anthology bears a unique significance since 70% of the authors are current residents in mainland China, with the rest of the authors residing in Taiwan, Hong Kong, Macao, Southeast Asia, North America, Europe, Australia and New Zealand, etc. Among the authors in mainland China, it is rare and precious to find Liu Xiaobo’s former classmates and alumni during his university years, the students that Liu Xiaobo taught during his teaching tenure, Liu Xiaobo’s colleagues and members during his tenure as the president of ICPC as well as those public intellectuals and dissidents who had fought their way for democracy in China along with Liu Xiaobo for the last three decades. Many authors are contemporary Chinese poets, well-known to the readers from Mainland China, Hong Kong, Macao and Taiwan, who rose to fame along with Liu Xiaobo as his peers of the same generation. Authors also include poets of younger generations who were born in 1980s and 1990s. Ha Jin and Perry Link, the two writers and scholars who enjoy high reputation among the Chinese literature and intellectual circles, have written their powerful blurb to this book. The Contemporary: A Poetry Anthology in Commemoration of Liu Xiaobo is produced by Archive for Chinese Underground Literature and Exile Literature (ACULEL), whose initiating founders are Bei Ling, Liao Yiwu and Meng Lang, the key founding members for ICPC, of which Liu Xiaobo used to serve as its president.